In the year 2230, 215 years after a nuclear war destroyed the surface of the world, a group of 11 nomatic motorcyclist scavengers arrive in a deserted town searching for food and water, when they are set upon by thousands of flesh-eating, mutant rats. 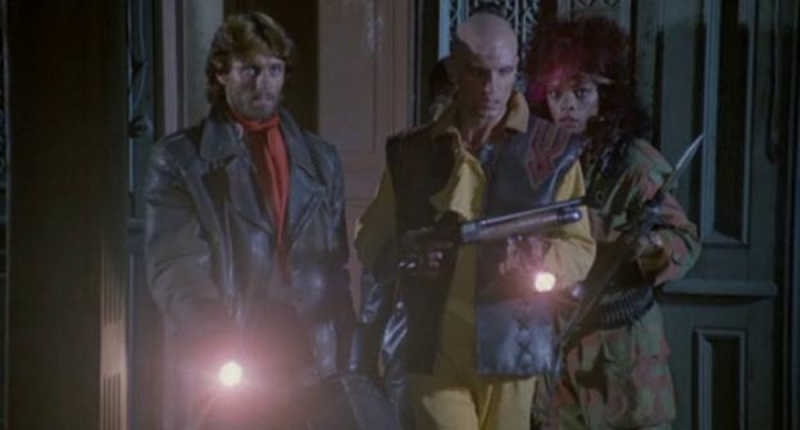 Armed with various assault weapons, flame-throwers, and other sharp objects, the group must co-operate with each other to fight the increasing number of murderous rodents in order to survive the long night. The acting is bad along the cast… When it comes to a screaming moment, they’re not screaming at anything? The Camera pans to what their looking at and its 5 or more rats? They never heard of The Foot? The Dubbing is even worse along with the dialogue, You can see the commination difference that half spoke Italian and the others English then just redubbed it later. Shot on the same sets as Sergio Leone’s Once Upon a Time in America, Bruno Mattei and his crew get half the set by night but must clean it all up before morning so thye rushed most shots. Overall it’s a decent way to kill an Hour and Half and its twist ending will have you saying WTF for the next week or Two. You told me this was a must-see, yet you pass it off as being just alright. Man, I don't get you. Nonetheless, fine coverage of the film; and I will be seeing it.